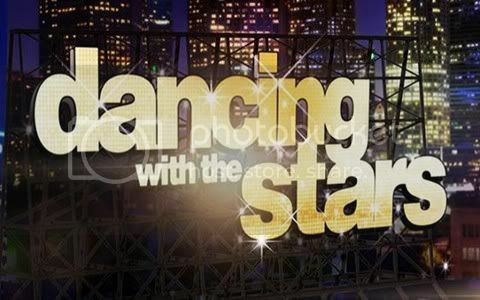 Quick Take: Dancing With the Stars 14 "Week 7 Results"
Review: Dancing With the Stars 14 "Week 7 Results"
(S1414) The night kicked off with an encore performance of Maria and Derek's perfect paso doble. Soon after the eliminations started with the three couples who each earned a twenty-seven for their individual performance - Katherine and Mark, Donald and Peta and William and Cheryl, no surprise they were all safe. In the AT&T Spotlight dance Richard "Steelo" Vazquez returned to the dance floor with his dance group The Groovaloos for the first time since suffering an aneurysm in June 2011 that left him unable to speak and walk. Gavin DeGraw made his return to Dancing With the Stars this week in a capacity I am sure he's much more comfortable with - performing his new song "Sweeter." In the first Ballroom Battle Competition amateur couples that Cheryl, Tony and Louis handpicked competed in a jive dance relay. While the judges had praise for all three couples and commented on how they saw elements of each of the professional dancers in the couples, it was Cheryl's couple who earned the first trophy of the battle. In the final Dance Duel of the season two couples who were no strangers to being in the bottom two went head-to-head to save themselves from elimination, Roshon and Chelsie and Jaleel and Kym. I honestly thought that Melissa and Maks would be competing in the duel after their poorly judged Argentine tango, but, I guess Melissa's Little House On the Prairie fans are voting to keep her on. As we know, while this is a dance competition show when it comes to the voting it is a popularity contest and not a performance contest. After simultaneously dancing the rumba it was unanimously decided by the judges that it would be Jaleel's final spin on the dance floor. I wonder if Roshon will be able to survive elimination next week after being in the bottom two for the past two weeks.